It has been gorgeous out lately and what a better time to take the dogs out and have some fun. 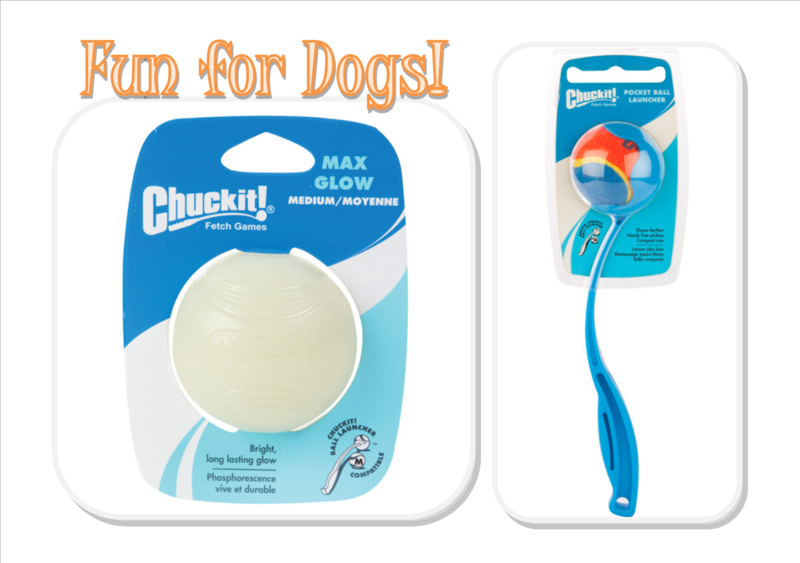 It's good exercise for dog and owner alike. For us, we've been participating in K9 Kamp and we push ourselves daily more than ever before. I think it's helping to keep that ice cream off my waist! LOL...Join us and you could win prizes while feeling great. 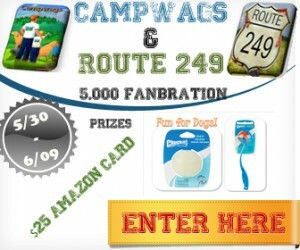 The 5K Fanbration for Camp Wags and Route 249 also gives you great incentive to take your dogs out and have some fun! In order to thank their fans, we're helping to hold this Fanbration event where ONE Winner takes both prizes! 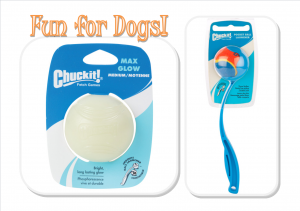 Camp Wags is sponsoring some fun toys for your pups including 2 ChuckIt glow in the dark tennis balls and ChuckIt Pocket Ball Launcher! Route 249 is sponsoring $25 Amazon Gift Card! Enter on the Rafflecopter form below between May 30 9PM EST to Jun 9 12:01AM EST. Open to US, 18+. Good luck! Please take the time to enter my other giveaways while you're here. I've taken my dog to a pet resort for a day. My dogs have never been to a resort. Just home.